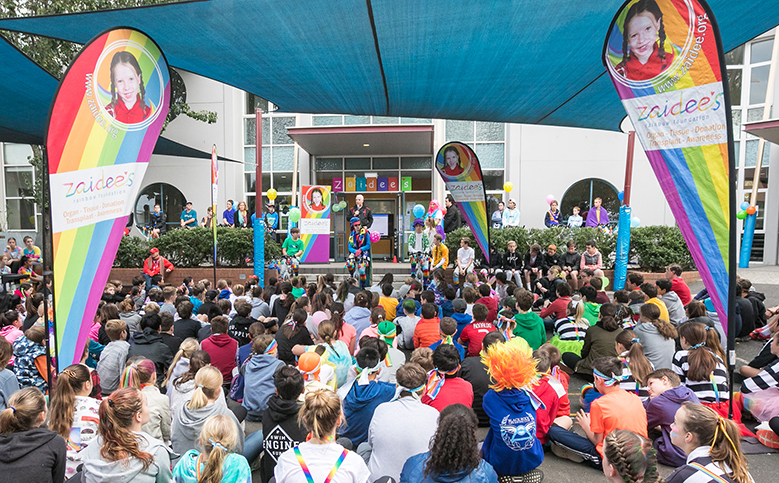 In early June, Mentone Grammar was awash with the colours of the rainbow as students came together to ride for the Zaidee’s Rainbow Foundation. Led by younger students from the Bayview middle school campus, this year’s participants started with an energetic dance before keeping 7 bikes spinning for 7 hours. More than 400 students from Years 5 to 8 had a turn riding for 10 minutes each and together they raised an amazing $32,360. Before the event, students listened respectfully as Allan Turner told the story of his 7-year-old daughter Zaidee who was the only child in Victoria under the age of 16 years to donate her organs and tissues when she died suddenly in 2004. 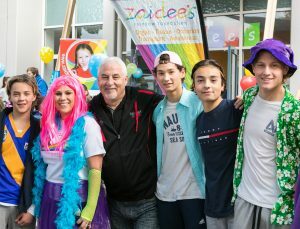 Over the past five years, Mentone Grammar students have raised more than $150,000 for the Zaidee’s Rainbow Foundation. This year the funds will go towards Zaidee’s School Educational Program, the country’s first organ and tissue education program delivered by a teacher to primary and secondary students in the Melbourne metro area. Well done to the younger students at Mentone Grammar for driving this project in 2017 – we were thrilled to support their amazing fundraising effort.